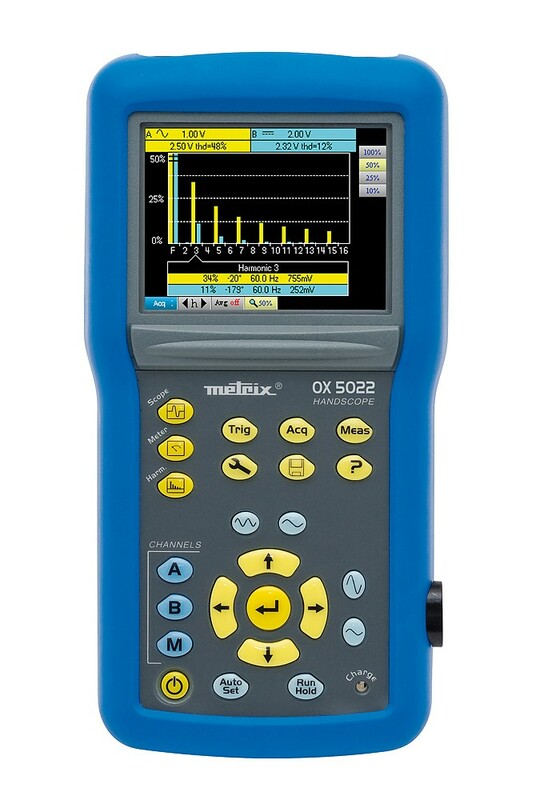 The shockproof, IP54, HANDSCOPE OX 5022 oscilloscope fits comfortably in one hand. 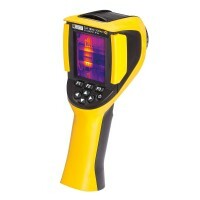 This ergonomic instrument is also equipped with a TFT colour screen and LED backlighting for precise data display. 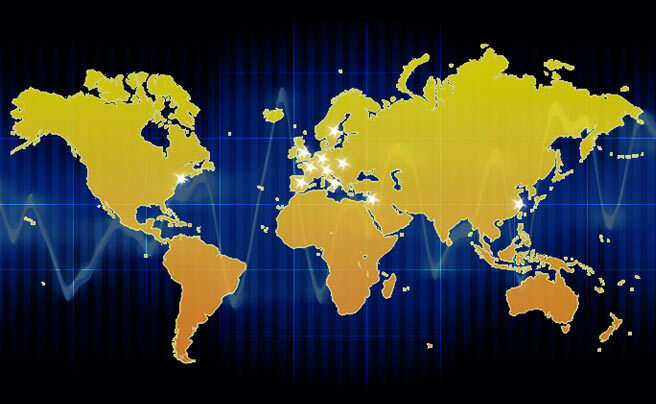 To make it simpler to use, intuitive pictograms and integrated multilingual help are available at all times. - Built-in 31-order harmonic analyser (fundamental between 40 and 450 Hz). 2 MB are available for recording data and, in multimeter mode, it is possible to store graphic recordings of 2,700 measurements (5 min to 1 month). Isolated USB communication with the SCPI protocol is available. This makes it simple to program the instrument remotely with the SX-METRO software. These products have been developed using an Eco-Design approach to reduce their environmental impact. They come with a 3-year warranty. NB: This upgrade does not concern the SCOPIX IV range. Follow the recommendations in the file Instructions.pdf. To upgrade your oscilloscope, you must download the LoaderScope software. The first time you execute the application, it will de-install the old version. You must then execute the program a second time to install the new version v3.1.